Marjan Georgievski, born on 22th of May, 1986, and graduated from Theater Academy in 2009 under the mentorship of prof. Vladimir Milcinu. From 2008 he is a regular member of Bitola National Theatre (BNT). 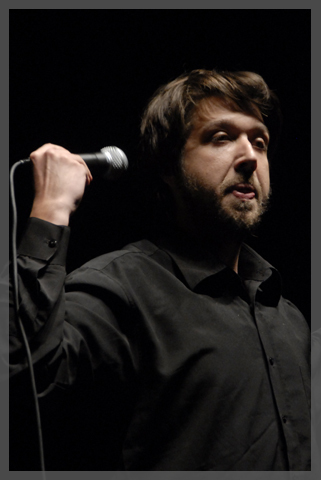 His beginning in stand up comedy are relatively fresh, started last year and ever since performed throughout Macedonia. He was also one of the comedians who performed at the Stand Up Fest in Serbia.